Australian Personal Finance Blogs List. The Best Australian Personal Finance Blogs from thousands of Australian Personal Finance blogs on the web using search and social metrics. Subscribe to these websites because they are actively working to educate, inspire, and empower their readers with frequent updates and high-quality information. 2.11 Aussie Finance Blog | Australian personal finance news, tips and advices. Australian Personal Finance newsletter is a comprehensive summary of the day's most important blog posts and news articles from the best Australian Personal Finance websites on the web, and delivered to your email inbox each morning. To subscribe, simply provide us with your email address. Australia About Blog Money magazine is Australia’s longest-running and most-read personal finance magazine. Easy-to-understand financial news, advice, reviews and awards. Since 1999, Money has been providing credible, independent, easy-to-understand financial advice to help its readers save money and make the most of their investments. Facebook fans 6,362. Twitter followers 10,087. Australia About Blog Simple Living Australia is a personal finance and lifestyle blog dedicated to helping Australians gain control of their finances, save more, spend less and improve their overall standard of living. They share insights on getting out of debt, saving money, investing and more. It’s all about practical ideas and information to help readers make better decisions and enjoy a simple living. Facebook fans 657. Twitter followers 1,157. Australia About Blog Australian personal finance blog about investing in Australia for dividends and freedom. We want to own small parts of many Australian companies, these companies will grow their businesses with time and pay us ever-increasing dividends. Follow us as we blog about our finances and investments for dividends & freedom. Facebook fans 206. Twitter followers 988. Brisbane, Queensland About Blog The Flawed Consumer is a personal finance blog that follows a flawed Gen Y consumer in her quest to achieve wealth, simply by changing spending habits. Facebook fans 84. Twitter followers 1,418. Cairns, Queensland About Blog SMART Financial Advice from a leading Financial Planner that is personalised to your requirements and your life circumstances. Facebook fans 7,664. Twitter followers 1,242. Australia About Blog Wealth From Thirty shares my journey of value investing and cultivating wealth from Australia. I’m not a financial adviser or investment expert, but do have an obsession for saving and investing and enjoy talking economics and finance in general. I’m 30, completing a combined PhD and Masters degree in a non-finance field, whilst making a small income teaching and on scholarship. I’ll be adding to this blog in my spare time (or when I’d rather procrastinate). About Blog Master Your Money Now is a financial planning and education company with a passion for helping everyday people take control of their finances from the comfort for their own home. Follow this blog which provides financial planning advice for family, tips to Build Wealth, Save Money and much more. Australia About Blog Reaching financial independance with a smile. Hi there! Welcome to All About Balance, a blog about reaching financial independence while still having a life! Have a look around to find tips and tricks on saving, investing, and growing your income while maintaining strong relationships and a healthy body and mind. Facebook fans 82. Twitter followers 1,416. Melbourne, Victoria About Blog Dollarwise aims to help you make wise choices with your money. I’m Luke and dollarwise is my baby. I’m just an ordinary guy with a wife and kids, making our way through life in Melbourne. I’ve got a natural frugal streak that hates seeing people pay more for things than they should. This blog is designed to help you make wise choices with your money. Facebook fans 25. Twitter followers 3,977. 11. Aussie Finance Blog | Australian personal finance news, tips and advices. Sydney About Blog The Aussie Finance Blog is a new personal blog about finance tips, insurance options, real estate, investments, career advices and similar topics. Facebook fans 757. Twitter followers 830. Australia About Blog Hi there, welcome to The Spreadsheet Dad blog! I am a thirty something year old Australian man who has a passion for personal finance and being the best father I can be to my two beautiful children and better husband to my wonderful wife. Facebook fans n/a. Twitter followers 814. Australia About Blog Australians exploring the Universe of Time and Money. An Australian blog about financial independence, retiring early (FIRE), and having enough time to do everything you wish to. Facebook fans n/a. Twitter followers 402. 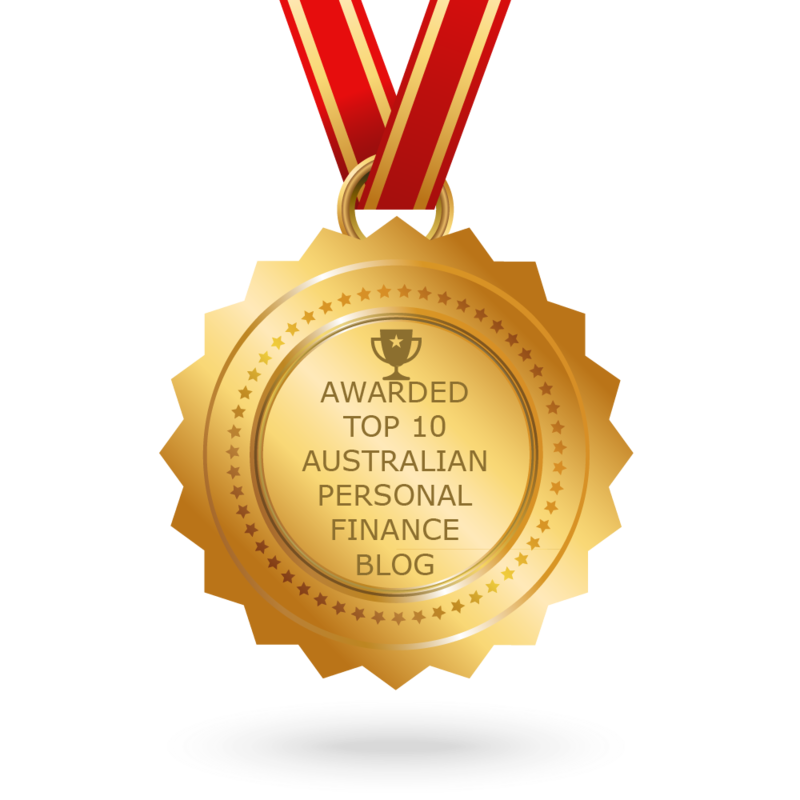 CONGRATULATIONS to every blogger that has made this Top Australian Personal Finance Blogs list! This is the most comprehensive list of best Australian Personal Finance blogs on the internet and I’m honoured to have you as part of this! I personally give you a high-five and want to thank you for your contribution to this world.